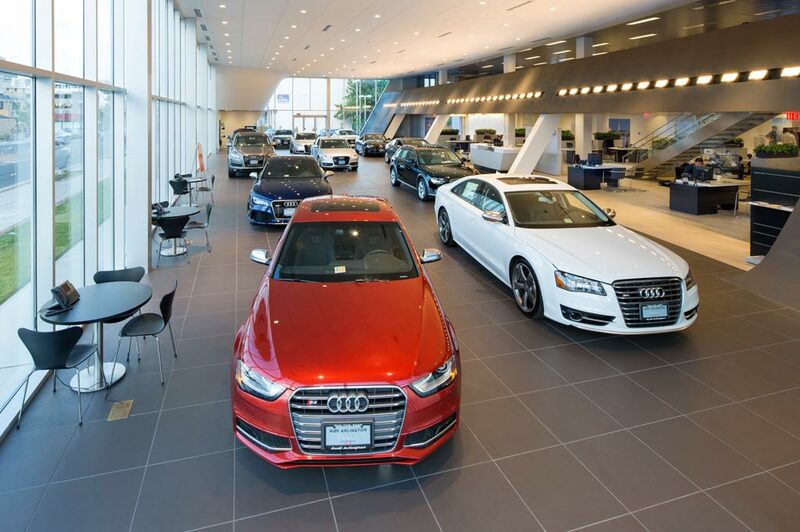 Napleton Audi in Loves Park has a strong and committed sales staff with many years of experience satisfying our Rockford IL, Machesney Park IL, Belvidere IL and Beloit WI customers' needs. Feel free to browse Napleton's massive inventory online, request more information about vehicles from one of our Audi trained sales professionals, set up a test drive with a sales associate or inquire about financing. We specialize as Chicago's Largest Internet Dealership Group! Napleton is located in Loves Park, Illinois just a short drive across the border from Wisconsin. As an Audi dealer who offers great prices, rebates and incentives for new 2018 & 2019 Audi cars & used Audi cars and SUVs to all of our Rockford IL, Machesney Park IL, Belvidere IL and Beloit WI neighbors. Customer satisfaction is crucial to our success at Napleton. Our expert Service & Parts staff assists our Loves Park, Illinois customers to keep their Audi vehicles in great shape. We hope that you find our website helpful to your needs. Although Napleton of Loves Park in Illinois doesn't stay open 24 hours a day, our dealership website is always open 24/7, 365 days a year! On our website which serves Rockford IL, Machesney Park IL, Belvidere IL and Beloit WI area customers. Loves Park Largest Internet Dealership Group is what we are known for around town at our Audi dealer. The fun of something new doesn't have to end when you drive your Audi A3, A4, A5, A6, A7, Q5 or Q7 off our dealership's lot. Napleton's Audi has many ways to keep your car fresh and your driving experience exceptional. All of our New Audi cars and Pre-Owned Vehicles come with the added peace of mind that you have our Parts and Service department at your disposal. For something simple like an oil change, or even a more significant type of repair, scheduling an appointment for servicing is easy and our savvy maintenance professionals will have your ride ready to hit the road again in no time. If you're already to begin the buying process, the experts in our finance center would be happy to discuss all of the loan and leasing options that we have available. Come in to our dealership at 6600E Riverside Dr to pick out your new car, or SUV today!